White House press secretary and noted gumboy Sean Spicer hasn’t been having a very good time. Melania (allegedly) hates him, he’s mocked mercilessly, Trump probably wants to fire him, and most recently, the devout Catholic didn’t even get to meet the Pope. But it wasn’t always this way. There was a time Sean had dreams ... a time when Sean had hope. And thanks to the good people at the Connecticut College Digital Commons, we can all relive Sean Spicer’s glory (?) days. Spicer attended Connecticut College from 1990 to 1993. It’s where he earned the nickname “sphincter,” where he ran for president and lost four years in a row, and where he took this photo. It’s hard to tell exactly, but I’m pretty sure our Spicey boy is this guy right here. An innocent soul with no idea of the horrors to come. And while our boy wasn’t super involved in extracurriculars (as his former roommate has attested), it will surprise no one that he was on the sailing team. There’s our little sailor all the way on the left. 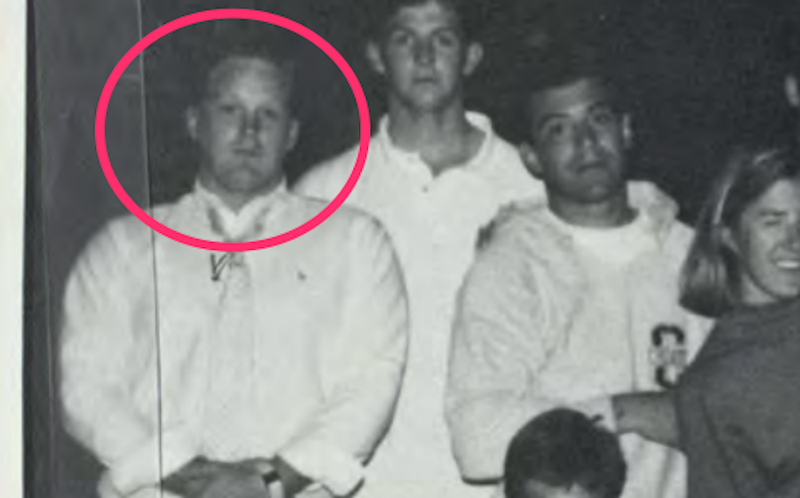 During his (likely) junior year, Spicer’s only yearbook appearance appears to come from his stint as Santa during one of the sailing team’s raucous nautical parties. Here we see Sean developing a taste for cosplay; the rest is history. Last, but not least, we have Spicer’s senior photo. This fresh-faced, soon-to-be college grad would go on to enjoy a rapid rise in the GOP communications world, only to one day enter a living hell from which he can never escape (until Trump fires him when they all get home). Or, of course, Sean could choose to stop peddling lies for a hateful and incompetent administration headed by a man who treats him like dogshit. Sean, my dear, dear friend, the choice is yours.